Updated 7/22/15. Seeing red is never a good thing, especially when it’s in reference to your complexion. For many people, redness in the skin can be exacerbated by summer heat, hormones, irritation or when much too alcohol is consumed. However, for nearly 16 million people it’s a constant, year round concern due to a vascular skin condition called rosacea. Even if you haven’t been diagnosed with rosacea, my expert tips below will help soothe and calm your red skin. What is rosacea? Symptoms of rosacea include visible dilated capillaries close to the surface of the skin, severe redness (particularly in the cheeks and on the nose) and possible little bumps that look like blemishes, but never go away. The exact cause of rosacea is unknown, but it seems to be attributed to circulation, genetic predisposition (those with Irish, Scottish, English and Scandinavian heritage are all more susceptible), digestive disorders, sluggish lymph, bacteria and mites attached to cells. Rosacea can become even more prominent with sun exposure, extreme temperatures, hot showers, spicy foods, caffeine, alcohol and cigarettes. If you are prone to rosacea or redness, avoid or limit these things and conditions as much as possible to reduce flare-ups. One point I want to make clear, if you have redness in your skin, this DOES NOT mean you have rosacea. A dermatologist can properly diagnose this condition. While the redness associated with rosacea can be bothersome, it can be kept to a minimum with proper care. Read on for everything you need to know about keeping this condition under control. 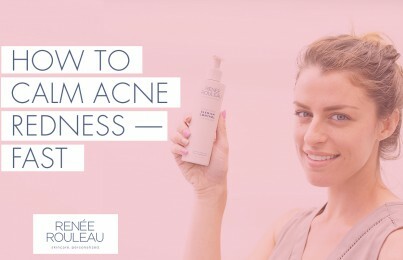 Tip #1: Use products appropriate for your skin type. Using appropriate products is important no matter your skin type, but it’s especially imperative for people who experience rosacea and have hyper-sensitive skin to do so. Topical soothing ingredients will help to sedate and calm overactive skin by reducing redness and making skin feel more comfortable. When shopping for products, pay attention to those that are for sensitive skin, but look for ones that are unscented or do not use artificial fragrance (NOTE: fragrance, often listed on ingredient labels, and also seen as “perfume” or “parfum,” is a leading cause of skin flare-ups). 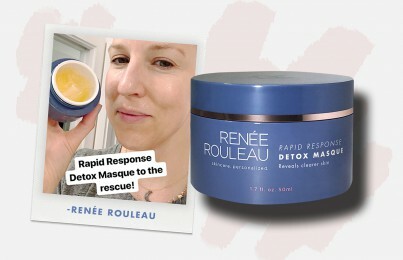 • Oat Kernel Extract—soothes skin immediately and found in Bio Calm Repair Masque. It’s like instant Valium for your skin. Learn more about your skin type. Tip #2: Listen to your skin. Often times, people think when a product stings it means it’s working. However (and particularly for those with rosacea and skins prone to redness), it can be actually be a sign of irritation. · Parsol 1789 (Avobenzone)—a common sunscreen agent which may cause skin sensitivity and inflammation. 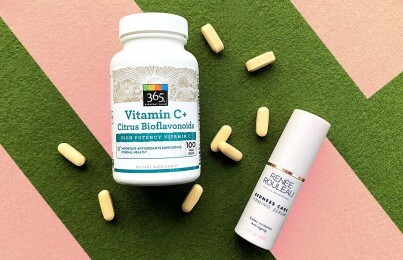 • High doses of Ascorbic Acid, L-Ascorbic Acid or Alpha Lipoic Acid—these acid forms of vitamin C can increase skin sensitivity. Instead, choose no-sting vitamin C ingredients, such as Magnesium Ascorbyl Phosphate or Ascorbyl Phosphate as found in Vitamin C&E Treatment. • Essential Oils—those with rosacea could disagree with oils containing cinnamon, clove, geranium or peppermint so they should be avoided. • Sodium Lauryl Sulfate, Sodium Laureth Sulfate or Ammonium Laureth Sulfate— surfactants used as cleansing agents that cut oil from the skin, but are too harsh and will also strip water from the layers of the skin. Use only sulfate-free cleansers. Tip #3: Avoid over-exfoliating your skin. Skin peels, topical AHAs, retinols, dermaplaning and professional microdermabrasion, while sometimes beneficial for smoothing the skin, can break down the skin’s protective lipid barrier when used too often causing it to become inflamed and reactive. Exfoliation is very important for many reasons but it’s important to consult with a professional esthetician to determine the proper level of exfoliation that is most appropriate for your skin type. One of the worst things those with redness and rosacea is to use a daily facial cleansing brush such as the Clarisonic. Read my Clarisonic review. Tip #4: Repair your skin’s moisture barrier. The skin has a moisture barrier made of natural lipids and when it is damaged, tiny, invisible cracks in the skin are created, allowing moisture to escape (causing dry, flaky skin) and irritants to enter more easily (making even sensitive skin products cause a stinging, irritating sensation). There are very specific emollient ingredients in certain moisturizers that can help repair the moisture barrier, resulting in less redness and irritation. Look for moisturizers or treatment oils containing like rose hip seed oil, borage oil, jojoba oil and sweet almond oil. Ingredients like shea butter, ceramides, squalane and phospholipids will also soothe the skin and help repair a damaged moisture barrier. (See the full list of best moisture repairing ingredients here.) You can find them in Pro Remedy Oil. With continued use, redness may be repaired. Tip #5: Perform a patch test. If you have extremely sensitive and allergic skin, it’s always recommended to do a patch test for compatibility prior to using any new products. When you’re trying a new line, you’re excited to dive right in and use everything, but if you have a negative reaction to something you’ll never know what it was. You might make some of your own assumptions, but it’s really hard for you to determine for sure. How to test for possible redness reactions: The side of the neck is a good starting point for true compatibility because it’s thinner and generally more reactive. The idea is that if it can be tolerated on your neck, then you can feel confident that it will be okay on the face. Also, should you encounter a negative reaction such as an itchy, red rash, you might want it to appear on the neck rather than on your face. Note: The product category that easily-irritated skins are most reactive to are products that you would leave on the skin (moisturizer, serum, toner, eye cream) as opposed to a cleanser that you apply and rinse right off. Also, if you are doing a patch test with a product that contains Glycolic Acid, Lactic Acid, Salicylic Acid or other AHA’s, it is normal that the skin may be slightly pink but this should usually subside within 10-15 minutes, especially if moisturizer is applied on the skin over it. What to do if you have an allergic reaction? If you ever use a product and break out in a rash, you can apply either Milk of Magnesia or cold plain yogurt to the affected area. Leave on 15 minutes, rinse and repeat every three hours. Tip #6: Keep skin care products cold and avoid hot water. Hot temperatures increase heat in the skin, making it more sensitive and red. When possible (and especially when the temperature outside is hot), store your skin care products in the refrigerator. Cleansing, toning and moisturizing with cool-temperature products will constrict the capillaries to ease redness and irritation. When washing your face, using lukewarm or cool water will also help you avoid redness. 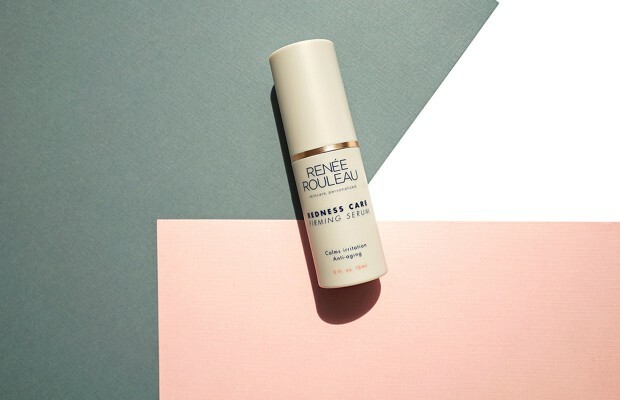 Rosacea and redness can be an irritating and an inconvenient skin condition, but with proper care and these tips, you can help control it, look less red and keep your skin calm and comfortable.